THEY improv provides a variety of programs designed to develop skills in customer service with CSR training workshops. This helps participants to improve connections to clients and enhance the experience. This is designed to improve business and sales. We consult with you to determine the particular needs, issues that need to be addressed, timing, location and budget concerns to customize a program to provide the best results. 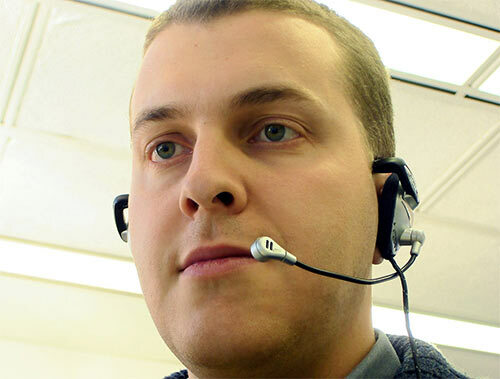 Maintaining a reputation for excellent customer service requires a constant effort at developing a culture of valuing clients and training CSRs to put forth the best practices that get recognized. Let's be honest, good customer service seldom gets publicized, but bad relations often go viral. It is just the nature of the beast. Our programs are designed to help enhance the skills that are required to improve results and to instill a desire to achieve those results. Often, the actual employees often don't even understand what goals that they should have. They instead are stuck in the middle of each call and lose sight of that overall goal. 1) Make a Personal Connection - Customers get frustrated by push button systems and the impersonal way that they feel companies deal with them. When speaking to a human being they should feel that connection and feel appreciated. 2) Developing Trust - A good CSR should instill the idea that they, individually, as well as the company overall, wants the customer experience to be a positive one and that you want the customer to be happy with the results. 3) Paying Attention - A great CSR should pay attention and listen. This active listening allows a client to feel that they've gotten their message out. This gives a feeling of empathy and a satisfaction for having the grievance heard. Likewise, listening can help to anticipate the needs of the client and potentially offer alternative solutions. 4) Returning Clients - A positive experience can result in the client returning with future purchases. This helps to smooth the process for future purchases. More sales should be the goal of just about anything you do. 5) A Positive Vibe - If you can go a step beyond the expected, this can result in positive reviews and viral postings. This can come back in many ways to benefit the company. We have a variety of programs that we provide that are geared towards different skills and that can be one time events or repeating programs to help engender the culture of great customer service. 1) Enthusiasm - If you don't have enthusiasm for your product, then why should anyone else? 2) Emotiona Intelligence - Understanding the person you are speaking to, learning to influence that person, can help in most any situation. 3) Conflict Resolution - Often people speak with you about problems. Understanding their situation, empathizing, finding ways to resolve the situation without putting your company in a problematic position, are all keys to success. 4) Role Play - We help by having participants take on both sides of situations. Our programs tend to be very interactive and get people speaking with one another. After all, the best way to learn something is to actually use it. This can be done for small groups as well as for large groups. depending on the size of group we would bring a different number of facilitators. Likewise, we can provide facilitators of different levels of experience. Our basic facilitators have a lot of experience with such workshops but don't necessarily have the business experience to innovate and shift with the specific questions someone might ask. This is great if you have no major problems or are trying to refresh concepts. If there are issues and you need someone with more experience, we bring heavy hitters to your group. This is someone who can walk you through more advanced issues and can help overcome whatever problems you are facing. Contact us today to find out more about how THEY improv can help your business. 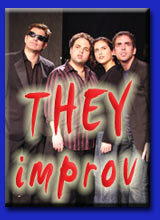 Email info@theyimprov.com or call (866) 219-4386.